Ahhhh Melbourne, the coffee capital of Australia. Take a look at any table in a café in this fine city and you will see a number of different takes on the humble cup of coffee. From short macchiato to the skinny latte, ristretto to a mug-a-cino, every variation seems to be covered. But what is to be made of all this? What happens when you try a new café and the extra hot skinny cappuccino that you have always ordered isn't quite what you expected? Well here are a few tips that might help you survive these ordeals. Cafés can vary in their attitudes to coffee, so depending on which café you head to can dictate the type of coffee experience that one will have. Some cafes stock numerous sizes and offer many types of syrup that can be added to the coffee to alter the flavour. These cafés certainly serve their place in the coffee scene, but are often viewed as a type of watered down version of the traditional cup of coffee. But here lies the beauty of the Melbourne coffee experience, if you want an extra large decaf hazelnut latte, you can find it, but just don't expect every café to be open to your demands. With this explosion of options available, comes the reverse attitude by others. Some cafes are now doing the complete opposite and just offering 'black' or 'white' coffee. These cafés have bucked the trend and taken coffee back to how it is traditionally served, and that is simply in 'black' or 'white' form. And therefore started a new trend amongst cafés. With these differing attitudes, we as consumers need to respect the way cafés choose to serve their coffee. Trying to deviate too much from what a café offers can usually be meet by snarls or dirty looks by the barista, and sometimes for good reason. Complaining that your short macchiato is too short, or that your long black is too long can sometimes be justified, but most barista's take extreme pride in producing the best cup of coffee they can at that moment, and that might mean it comes out looking slightly different than usual. But this again is the beauty of Melbourne; there are so many cafes to try, that it is very easy to stumble upon a great cup made with great pride. By wandering the streets of the city, and indeed venturing to the suburbs to try a café that you have read about, or a great café that has been recommended to you by a friend can be a lot of fun. But be wary of what the café offers. 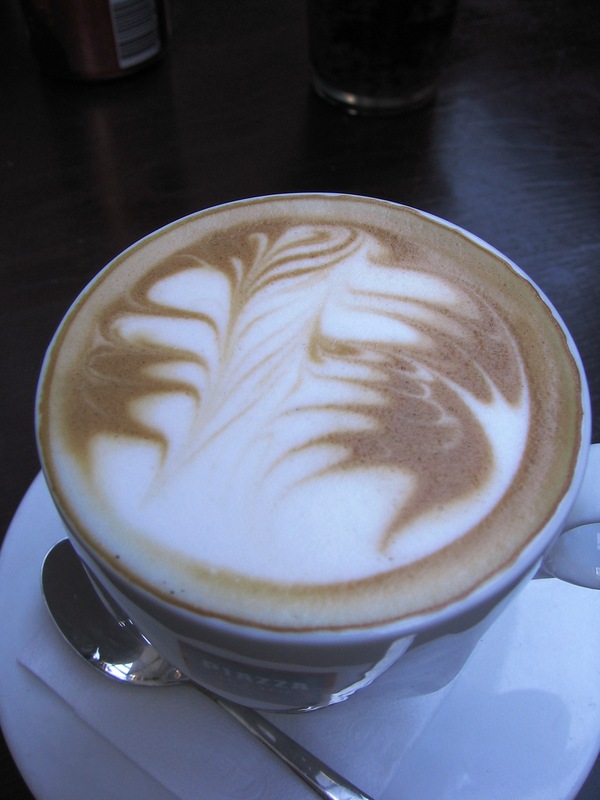 Don't knock the café if it offers large vanilla flat whites if you are used to a café that doesn't, and don't expect all cafés to be open to your special request. But be willing to try the many different takes on the humble cup of coffee, who knows, you might be a vanilla latte drinker in no time, or discover a great cup of coffee from a café you never dreamt of visiting. Why? What is to be made of the way we drink coffee.